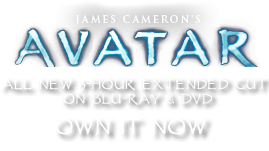 Dinicthoid | Pandorapedia: The Official Guide to Pandora | Own AVATAR on Blu-ray & DVD Now! When hunting at night, the dinicthoid can pulse with bioluminescence to take on the appearance of a smaller, more docile creature to lure prey closer. Conversely, it can control its markings to appear even larger and fiercer. Scientists continue to marvel at the ferocity of the fish. Pandoran biologists recently watched as an unlucky young sturmbeest waded into a small pond to drink, only to be dragged beneath the surface by a school of ambitious dinicthy. Such dramatic violence has led scientists to fear that the fish might be smuggled back to private aquariums on Earth. Should this occur (followed by the inevitable release of the fish into sewers or canals) the consequences for our already-distressed ecosystems are dire. Taxonomy Gargoylia macropisceae or “giant gargoyle fish”. Habitat Pandoran lakes and murky lowland drainages. Anatomy Semi-transparent body revealing spinal column and inner organs. Heavily armored with triangular, blade-like teeth. Feeding Ecology Voracious predator. Because of fierceness and thick armor composed of cartilage, it can feed on both smaller and larger fish. Can also feed on plant life, including fallen seeds and pods. Size Up to one meter in length. Notes Captive specimens are extremely aggressive and have been known to slam against glass of holding aquarium.